BEA was perhaps best known for its Tuxedo and WebLogic products. WebLogic had been a leading middleware suite in BEA's portfolio, and the company itself had bought WebLogic the company in 1998 for $192 million in stock (CNet, Sep 1998). 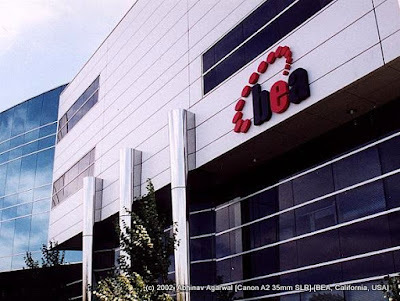 WebLogic was perhaps the first J2EE application server, and BEA's name itself was an acronym, derived from the first names of the company's founders. Oracle acquired BEA Systems in April 2008 after closing a deal in January 2008 to acquire it for $8.5 billion. Oracle then made WebLogic Server the application server of choice across its suite of products, including business intelligence and Fusion applications.